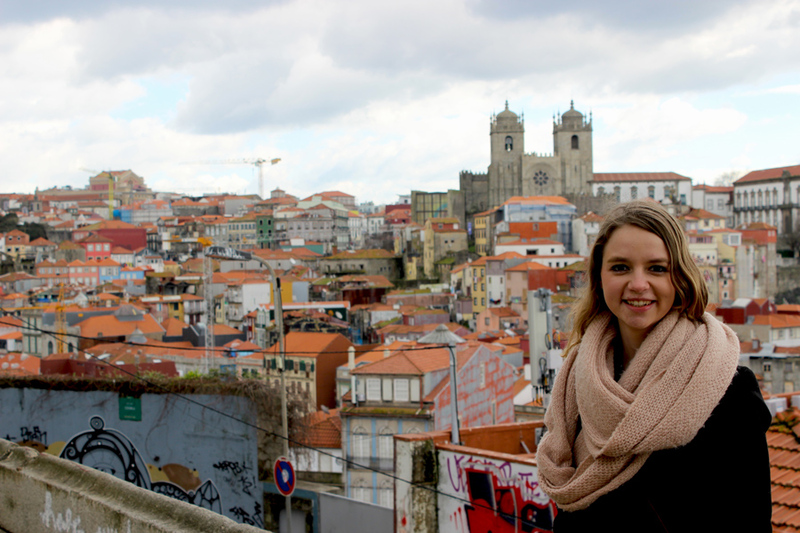 So we survived our first day in Porto and we had fallen in love with the city. Now it was time to do some more exploring, but not before we had filled our bellies with a sumptuous breakfast. We were able to quench hunger and thirst at Traveller Cafe, where delicious looking cookies, croissants and freshly pressed juices were staring at us seductively from the display. I went for nothing less than an Oreo cookie smoothie and latte. This obviously was an action in which I completely ignored the calories police. 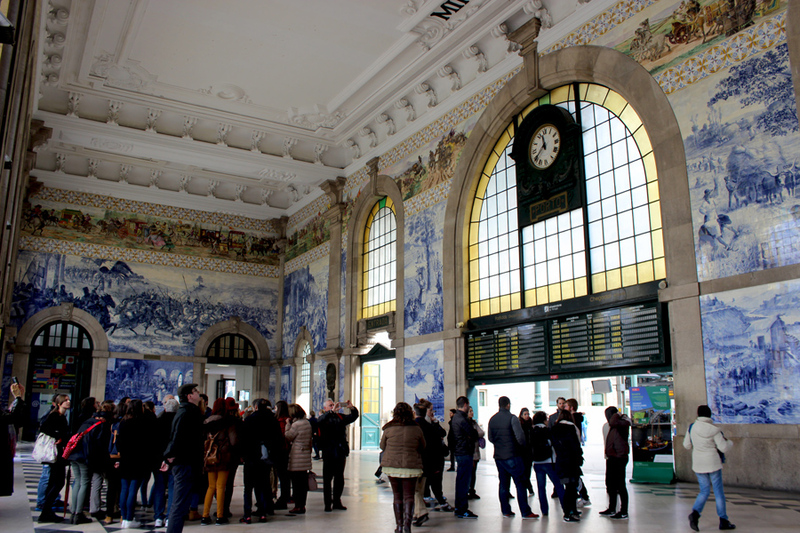 When we felt completely stuffed, we made our way towards Sao Bento Train Station, arguably one of the most beautiful train stations in the world. Its layout with richly decorated ceilings and impressive arches seem very Parisian. 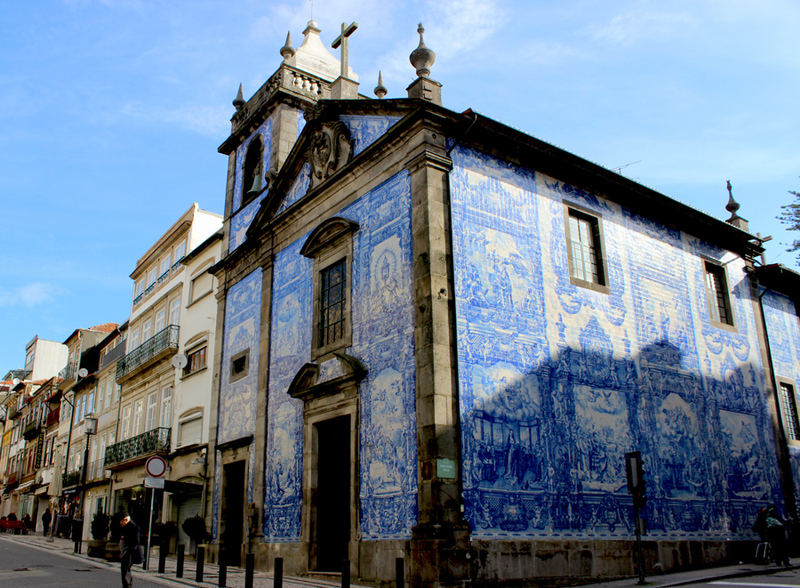 However, undoubtedly the most celebrated decoration are the azulejo panels of historic scenes. These were designed by Jorge Colaco in 1930 and come in a total of 20.000 tiles, portraying historic battles as well as the history of transport. 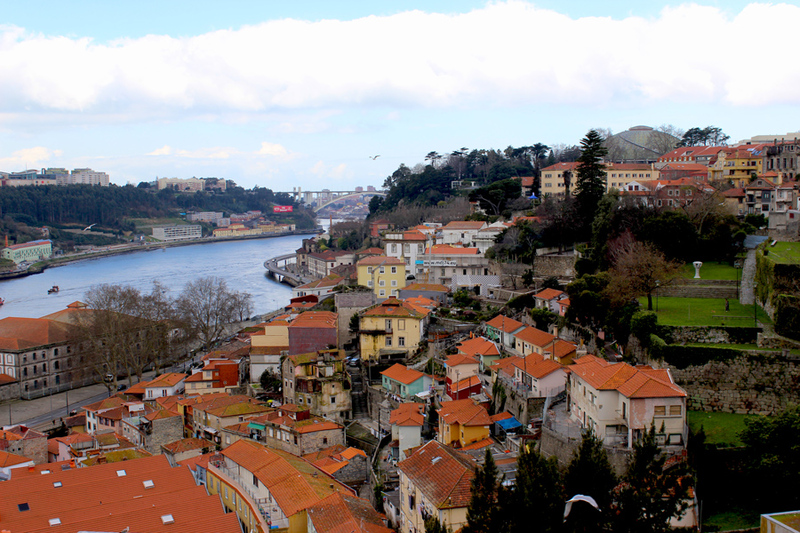 After we were treated the day before with the most adorable little alleyways and stunning views that Porto has on offer, we thought nothing could match that experience. How wrong of us to believe that actually to be true. In fact, the medieval streets of the Jewish Quarter once again brought that whole Mediterranean/medieval vibe to life. 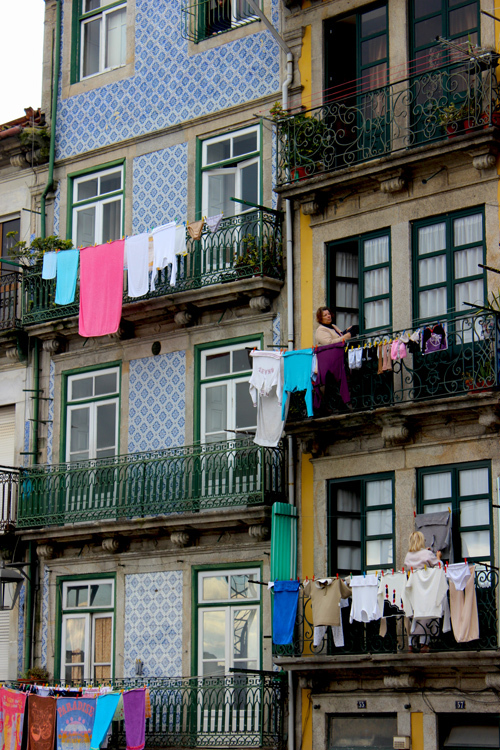 Ample of houses where women were hanging their fresh linen to dry, small cobbled backstreets and several majestic examples of azulejo art. 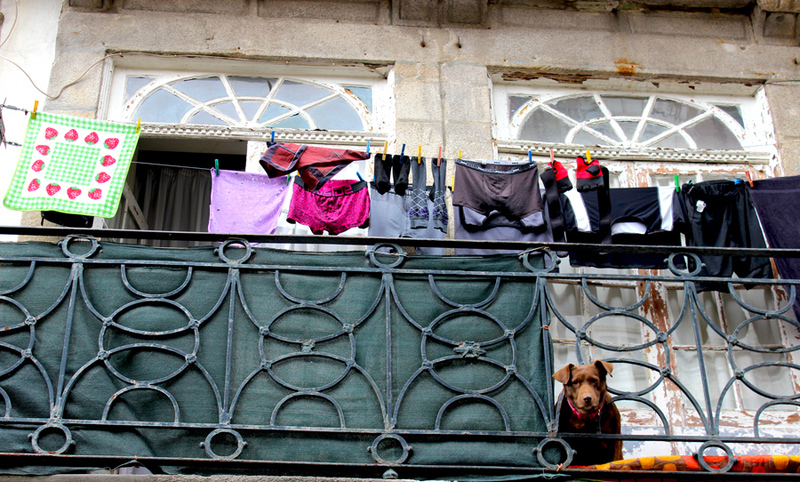 And once again we were treated with the best views of town. 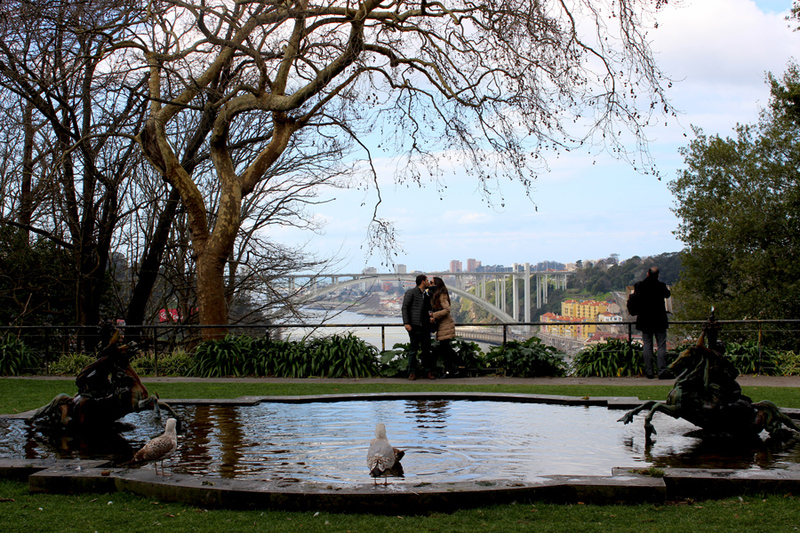 The sun finally came fully through again once we had reached Jardim do Palácio de Cristal where splendid gardens, miradouros (viewpoints) and even peacocks were waiting for us. This is where we sat down to take in the views and let the sunbeams warm our faces. This is also where a slightly odd-looking dome invited us to come in, and where we discovered some sort of stadium where we stumbled upon a book market. 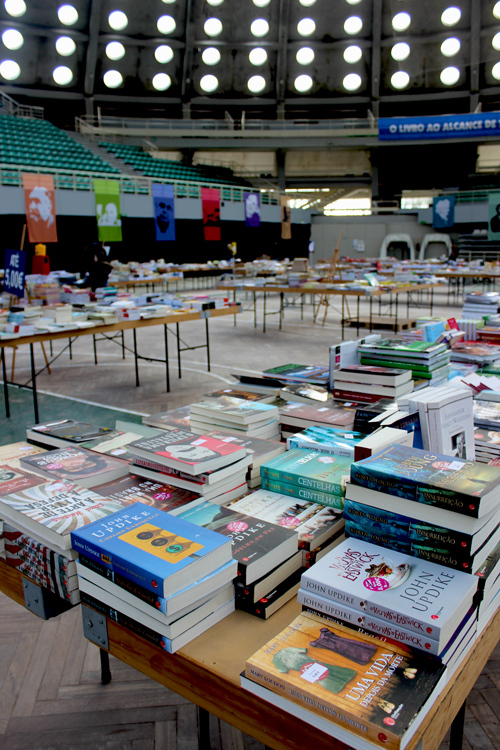 Not many English books for us to look through, but we will never turn down an opportunity to browse through books! Slowly but steadily, we felt our stomachs rumbling again, so we decided it would be time for lunch. 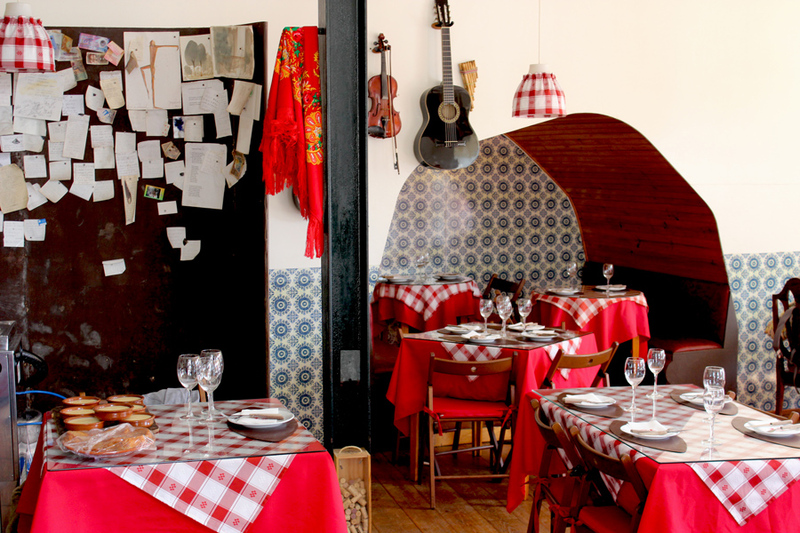 We found the perfect location for that in a typical local taverna on the riverside called Taberna Cais das Pedras. Highlight of our lunch was not just the sunny weather (we were able to sit on the outside deck without a coat – great triumph for London expats in February! ), but the flame-grilled chourico (sausage) as well. The waitress set oil on fire in a stone bowl where after she carefully hung the chourico above. We witnessed the sausage open due to the heat into slices which was quite the spectacular sight! 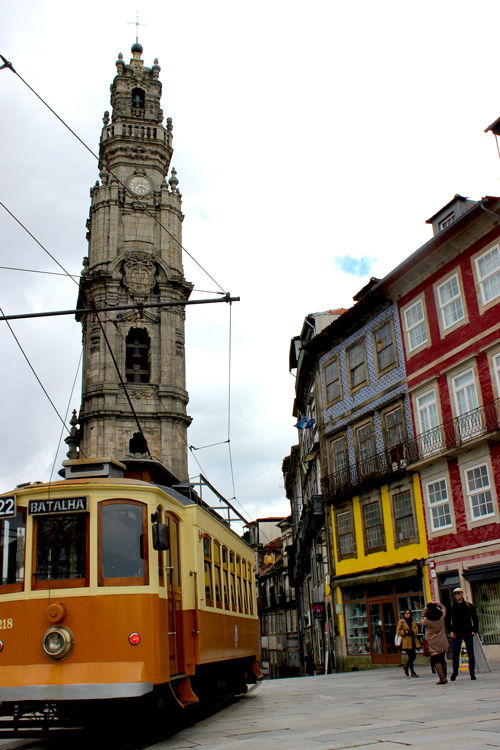 We enjoyed a sumptuous lunch here and watched the locals and the historic tram come by, which was making its round trips from the city center to the coast and back again. After lunch we continued our riverside stroll until we reached the museum World of Discoveries which peeked our interest. 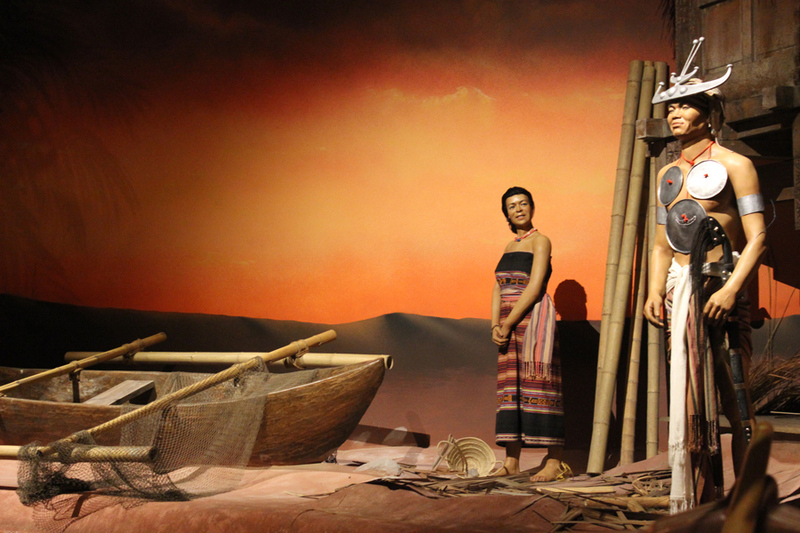 Of course we had heard of the famous Portuguese explorers who discovered the world back in their day, but how much did we actually know about them? Not much we concluded, and since our guidebook told us that this museum is ‘an interactive kid-pleaser’ we knew we had to go in. 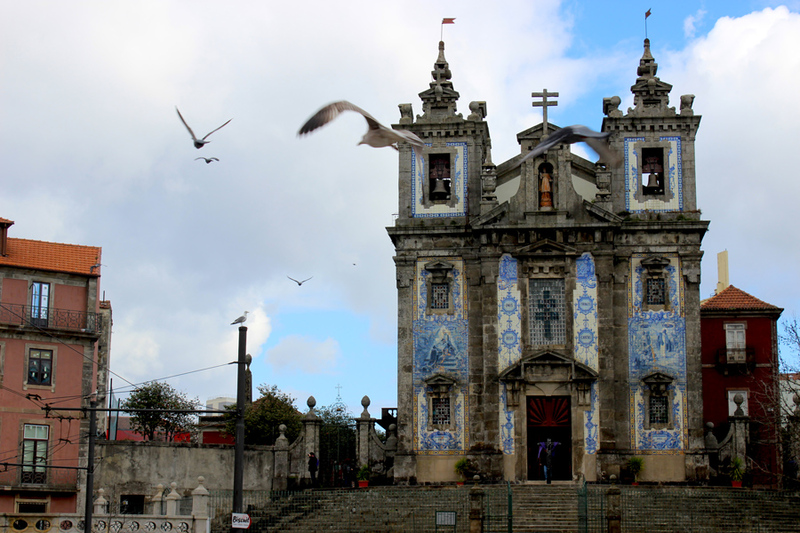 The museum, which included the interior replica of a discovery ship, and a Disney-like-boat-ride transporting us along all of the most notable Portuguese discoveries was absolutely worth every penny (or Euro cent). Before we knew it, the clock struck 5PM and we knew we had to go back to the airport. We both were impressed by the amount of exploring one can do in less than 48 hours. 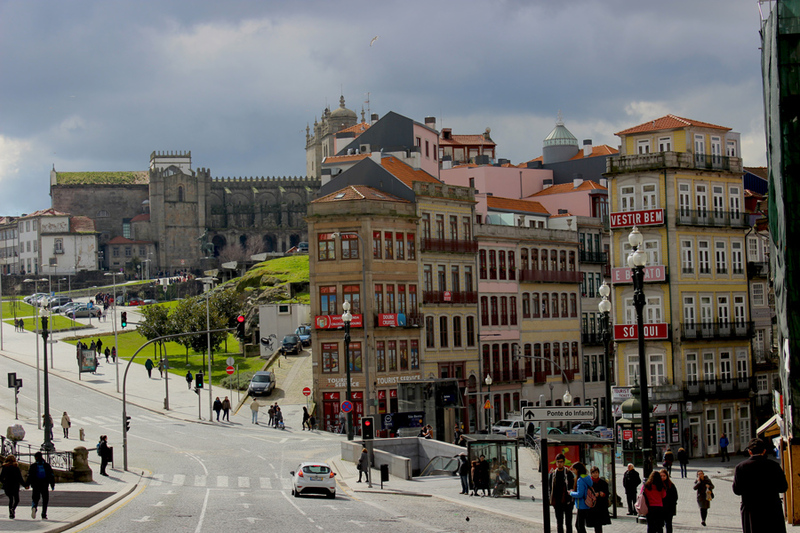 Porto proved to be the perfect destination for a quick weekend break from London. To be honest, I felt quite sad to leave. We felt we needed to bring a souvenir home. 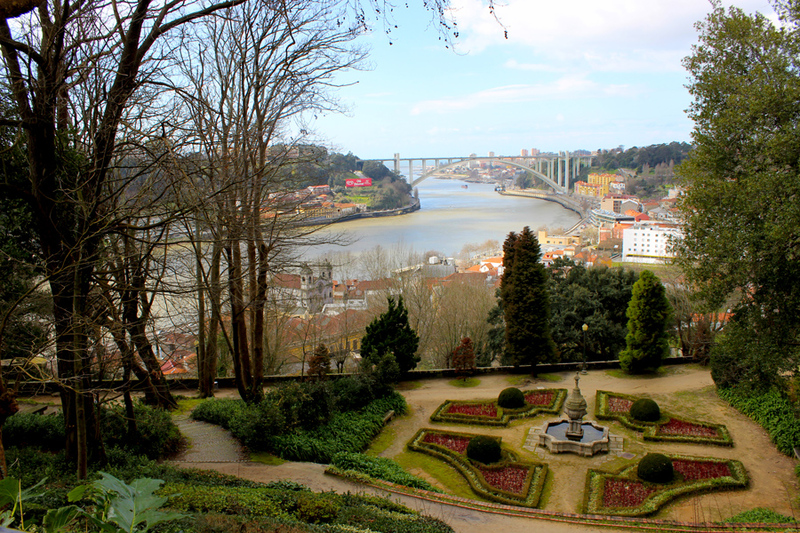 And what would be a better souvenir than a bottle of real port from Porto? Now, over to you: What is your favourite weekend break destination?